Released in late February, the Windows 8 Consumer Preview is live, ready and waiting for anybody to download it and install to sample the beauty of the Metro UI and gain an appreciation as to how this might work on a tablet and whether it is a usable interface for a mouse-controlled device. If you’re interested in upgrading to the next version of Windows then this is your opportunity to find out if Windows 8 – the most revolutionary release since Windows 95 – is suitable for you and the way you use your computer. At the very least, the preview offers a more polished version of the earlier Windows 8 Developer Preview and allows potential Windows tablet owners to see just how they will be able to interact with their applications. So what is the point of a consumer preview? There are various reasons for it, not least for standard consumers (as opposed to developers) and small businesses to check whether or not the new version of Windows will be worth purchasing when it is released later this year. Upgrading to a new operating system can be a fraught and drawn-out process for some businesses, especially those that don’t have a standard network and for some, automated and centralized roll-outs of new operating systems are not possible. Similarly home users might have a specific set of applications and games that they regularly enjoy. Without the opportunity to test whether these will work under the preview version, upgrading could prove to be an expensive mistake. Having the information before upgrading to Windows 8 could save money, time and unnecessary messing about with reinstallations. In order to try the Windows 8 Consumer Preview you will need to download the installer from this page. It will require an email address and your location – keep an eye on the check box which if ticked will result in emails from Microsoft. The next step is to click the Download Windows 8 Consumer Preview button to download the installer. This should then be run on your existing OS in order to install Windows 8. Note that reverting to your current OS will only be possible by using a recovery disc or partition, or by reinstalling. As such you should treat this process as if you were installing any other operating system, and make the appropriate backup preparations. When you first run the Windows8-ConsumerPreview-setup.exe file you will be prompted to begin a compatibility check. This is a good way of finding out whether or not the OS will run with your existing hardware and software options. Often all you will need to do is upgrade drivers or reinstall software after upgrading, but be aware that as in the image above, some items do not have solutions at this stage. If you’re happy with the above check, then you will be ready to proceed with installation. 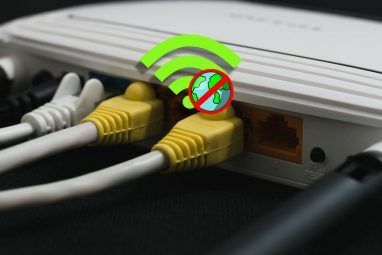 Click Next to begin – you should be connected to the web and the installer will collect a product key specific to the version. At this point the small installer will begin downloading the preview, and you will be able to continue to use Windows until this is complete. This download can be paused and resumed at any time. Once complete, you will be given the opportunity to install Windows 8 Consumer Preview onto your computer now, later, or even on a separate partition. Click Next to continue with the procedure, configuring the regional options as requested. It shouldn’t take too long for the operating system to install – you’ll know when it is ready as a login screen will appear, prompting you for a Windows Live email address (you can also set up a local account). These ISO files can be burned to disc and used as required. Note that the Hash is used when installing the consumer preview instead of a standard product key. There is obviously quite a time and organization overhead in preparing your computer before installing Windows 8 Consumer Preview but fortunately there is an alternative in the shape of the free VirtualBox tool from Oracle. You can download your copy with this link. To proceed you will need to download a copy of Windows 8 Consumer Preview via the links in the previous section, corresponding to the architecture type you prefer. Once downloaded and installed, VirtualBox can be configured to host Windows 8 Consumer Preview. Click New to open the wizard and enter the name of the OS as well as selecting the correct version (based on what you have downloaded). Note that you can use the back button in VirtualBox to go back a step at any point if you feel you have made an error. Click Next to proceed, and select the memory required (the default is okay) for the guest operating system. Following this Next will take you to the hard disk drive screen, where a virtual disk is created. Again the defaults can be accepted. After clicking Next you will see a list of options for choosing which format to create the virtual disk in. A virtual disk is a file on your physical hard drive that can be used as a hard disk by a virtualization application like VirtualBox. It can be moved around and opened in a different virtual machine if necessary, whether it’s VirtualBox, VMware or even Parallels. As such the correct choice here can determine how you will use the virtual version of Windows 8. In the following screen select the type of disk storage you want – once again, the default option of Dynamically allocated is fine, but you can also select Fixed size and specify an exact limit if necessary. A dynamically allocated virtual drive will increase and shrink as required, something you can set when you click Next. Finally, click Next to reach the summary screen and check your options, then hit the Create button. The next step is to install Windows 8 Consumer Preview, a process which commences when you click Start in the VirtualBox Manager console. At this point the First Run Wizard will appear, which you will use to find the installation media, either the ISO you downloaded earlier or the physical drive holding the disc you burned it to. 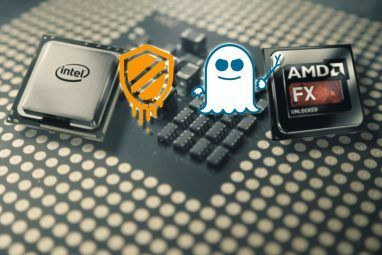 Click Next to confirm and Start to begin – the virtual machine will boot and installation of the new OS will then begin. Select your regional options, click Next and then use the Install Now button to set up Windows 8. Next, you will be asked for the product key – use: NF32V-Q9P3W-7DR7Y-JGWRW-JFCK8. 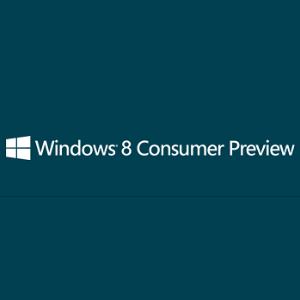 In just a few minutes time the new Windows 8 Consumer Preview will be installed on your virtual machine, ready for you to try out. Whichever method you use to enjoy the Windows 8 Consumer Preview, remember that this is your chance to take the time to sample Windows 8 before it comes out. You might be uncomfortable with the Metro user interface, for example (although this can be disabled) or you might find that there is a compatibility issue with legacy software that would put you off upgrading. 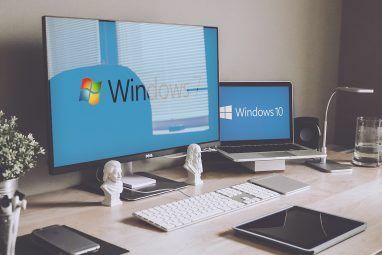 Either way with the costs involved in buying new hardware or even a new OS you might be better served simply relying on the existing Windows 7 – but you won’t know exactly how you feel until you have tried the Windows 8 Consumer Preview. Let us know if you decided to test it out and if so, what your thoughts are on Windows 8. I tried to install windows 8 preview release and everything was going great,up until I created a Microsoft Account. I got an error message saying that the installation was unsuccessful and then it started to revert to Windows 7, I dont understand want happened. buy using release preview will Microsoft give beta users a genuine licence after is out beta version !!!!!!! The overall feel of the OS was good, but what I hated was having to reinstall to go back to Windows 7 cause my games won't work in 8 cuz of Drivers incompatibilities. I think I did something wrong, I installed Windows 8 into a virtual machine, and whenever I run it, it needs to be re-installed. Anyone else have this issue/a fix? Are you getting a specific error message, Jay? You are experiencing a loss of description code that comes with most betas. The windows 8 preview (when installed via cd/dvd boot) does not warn you to eject the cd (usually, a full release will eject the cd for you automatically.) after the first installer forced reboot. (the first reset comes after finalization of the first copy and check files screen in setup. This screen comes immediately after you format, partition and choose the drive to install on.). The best way to deal with this problem is to eject the cd, remove it and close the tray while windows setup gives you the 10 second countdown until auto-reset screen. Jeff G. -- "I LOVE WINDOWS 8!! DEFINITE BUY!! Kinda Slow install on a VM. Gave it 6 Cores and 4GB of Ram. I don't like the fact that there isn't a start menu on the main desktop. Not cool enough to upgrade from windows 7 in my opinion. When I installed Win8CP it appeared to have updated the firmware on my NIC and I had to purchase a new one to get back online after restoring my computer's hard drive to it's previous image. Aside from that I just didn't like the feel that the menu is a totally separate space from the work area. I am definitely going to keep using Windows 7, XP and various Linux Distros but no Windows 8 for me, no thank you.